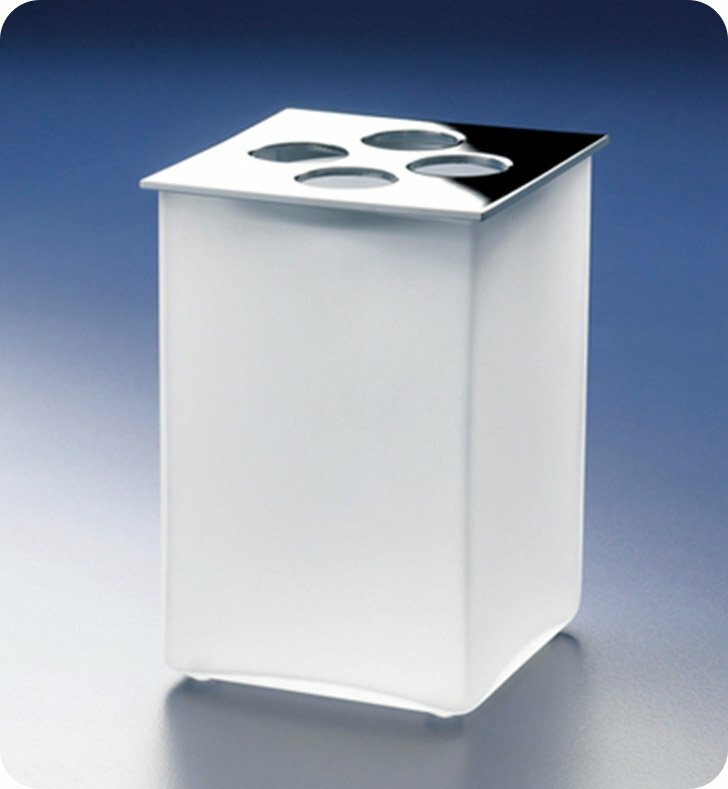 Windisch's Box Frozen Crystal Glass toothbrush holder is a bathroom tumbler that is best in a contemporary style bathroom. Designed and built in Spain by Windisch, this free standing tumbler/toothbrush holder is a convenient option for your luxurious master bath. This sophisticated tumbler/toothbrush holder is made of the highest quality frosted glass and finished with chrome, rustic brushed brass, brushed nickel, or gold.